Alessandra Castrogiovanni, a native of Los Angeles, grew up in Palos Verdes where she was highly influenced by her family. Her mother is established as a successful Broker and her father’s entrepreneurial spirit as a Builder and Developer, made a lasting impression. Her education has contributed to her global perspective and curated an eye for interior design, decor and architecture. She minored in Art at the prestigious L’Accademia di Belle Arti in Bologna, Italy before earning her B.A. in International Relations from Fordham University at Lincoln Center in New York, where she was chosen to be the Rapporteur for UNICEF at the United Nations. Well-traveled and well connected, she is fluent in Italian and enjoys working with a diverse, international clientele. The NYC-based brokerage now has over 7,000 agents across the country and plans to launch in Austin, Nashville, Houston and internationally. Compass, the New York startup that has built a tech-first platform to take on the antiquated market of real estate, is building up its own house today. To double down on domestic growth, build out its tech, and to finally open up for business outside the US, the company has raised another $400 million of funding. Compass CEO Robert Reffkin joins 'Squawk Box' to discuss the tech real estate company and the industry. Compass has acquired Pacific Union International, becoming the largest independent real estate brokerage in California and the third-largest in the country. Compass started out as a New York-based hybrid residential brokerage and tech startup. After receiving $450M from investor SoftBank in December, it has focused on its goal of reaching 20% of market share in 20 markets by 2020. With the acquisition of Pacific Union, the company will grow to 6,400 real estate professionals representing $28B in sales volume for 2017. This latest acquisition comes on the heels of Compass acquiring Paragon Real Estate in July, forming San Francisco’s largest residential brokerage firm. 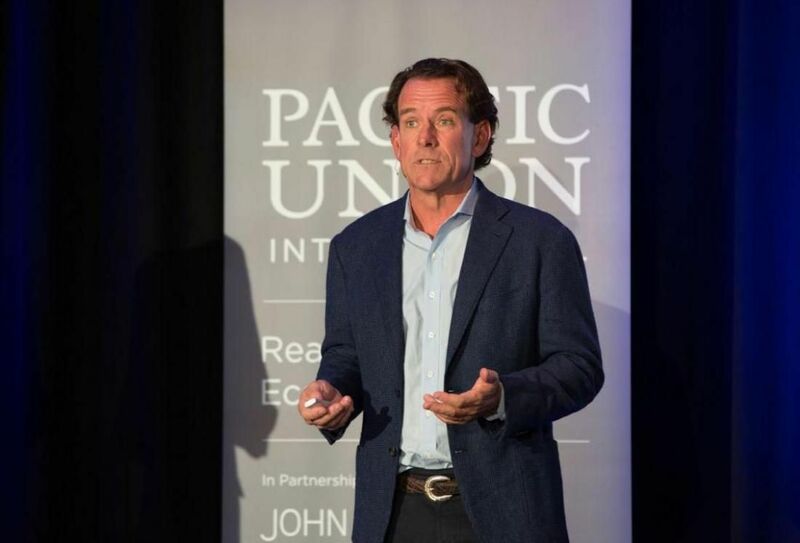 Pacific Union was originally founded in 1975 and was acquired by CEO Mark A. McLaughlin in 2009. Since then, the company has grown from $2.1B in sales volume to $14.1B in 2017. Pacific Union has over 50 offices and about 1,700 real estate professionals in California. Pacific Union underwent a recent acquisition spree, acquiring Partners Trust in Los Angeles in 2017 and John Aaroe Group in 2016. It also recently launched a commercial real estate division in Los Angeles, where it will focus on traditional asset classes such as multifamily, retail, hospitality, office and industrial. Compass has committed to opening in the top 20 cities in the U.S. and expanding to over 65 offices this year. In addition to San Francisco and Los Angeles, Compass has offices in New York City; Orange County; San Diego; Chicago; Boston; Atlanta; Seattle; Washington, D.C.; Dallas; Philadelphia; Aspen, Colorado; The Hamptons in New York; Miami; Westchester, New York; Greenwich, Connecticut; Naples, Florida; Santa Barbara; and Marin. A Sign of the Times Synopsis: We’re excited to announce Compass has just revealed the real estate sign, reimagined. It’s connected, intelligent, illuminating, and exclusive to Compass-represented properties. Humongous breaking news this morning for Compass, the white-hot real estate tech company: it just received a $450 million investment from SoftBank Vision Fund, the collaborative tech investment vehicle started by Japanese company SoftBank and a host of big international players. The $450 million investment in Compass marks the largest private real estate tech investment in U.S. history, according to Compass, and follows on the heels of a $100 million investment from other funders last month, which valued the company at $1.8 billion. The likes of Realogy, Compass and Redfin are all touting agent-centric models and tools. Now the footsoliders of real estate may finally be getting their due. 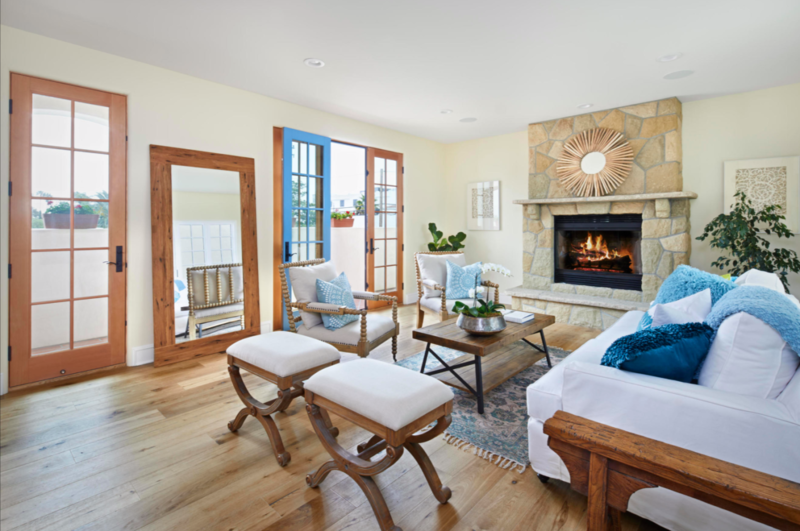 "Alessandra demonstrated class and a high end feel for style and design. She is a consummate professional and very compassionate, while being sensitive to our needs and timeline. She has far exceeded all of the other sales in the area — as our home sold at the highest price point ever! She is meticulous with her open houses, and very creative with her marketing material, social media exposure, promotional campaigns, using video and music production to sell our home at another level. She worked very diligently and beyond our expectations. Alessandra is super organized and also very clear in her communication with us. I very much appreciated this as I am very detailed myself. This emotional process became an exiting and inspiring experience in which we loved working together with Alessandra. We will be friends for life and I would highly recommend her services!" "Alessandra you are the best! Thank you so much for everything you did start to finish. We so appreciate your help with the move and going above and beyond helping - you just made our move in a breeze!!" "Alessandra worked tirelessly to help me sell my house in Venice for quite a bit over asking price. She put me in touch with excellent professionals to help with repairs and staging, and gave me great advice about about pricing. I also had her help in buying two other properties, and will use her again to sell one later this year. I recommend her services very highly. I'm happy to have found someone I trust and like."